Nate became a realtor in 2003. His strong professionalism and dedication to high customer service has made him a top performing agent in the Chicago area. Nate grew up in a family business that specializes in building homes for adults with disabilities, which helped him to develop a strong work ethic and in-depth knowledge of the value of real estate. Nate believes that there is a tremendous value to making the right real estate choice and this choice has a very real impact on people’s lives. Prior to returning to Chicago, Nate spent 2 years as a Sales Manager to the #1 sales group in Arizona selling large scale conversions. To Nate, nothing is more satisfying than finding a buyer the perfect home, making sure his seller receives top dollar, and insuring that all his developments are a smashing success. 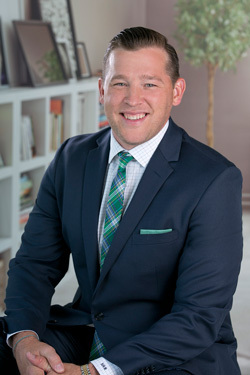 Nate holds a degree in Marketing from Eastern Illinois University and has earned the Accredited Buyers Representative designation from the National Association of Realtors. When he is not achieving the impossible for his clients, Nate seeks travel destinations with lots of water, sand and sunshine with his wife, Courtney! He loves spending quality time with friends and family, especially playing “Uncle Nate” to nephews Cameron and Zachary.